Our first fully wrapped car hit the road in Guildford last month. To mark this big news, we wanted to put the spotlight on some of you, our drivers. We had a chat with Kate whose Nissan Qashqai proudly sports the advert seen above. Kate is 46 and works in the Radiotherapy Department at The Royal Surrey County Hospital in Guildford as a Radiographer. Hi Kate I’d really like to start by asking how did you hear about Car Quids? I found out about Car Quids on the money saving expert website whilst looking for extra ways to earn money. Guildford is such a beautiful part of the country, where have you been driving recently? I drive 4 days a week from Selborne, near Alton to Guildford. At the weekends and days off I am usually around the Alton and Farnham areas. 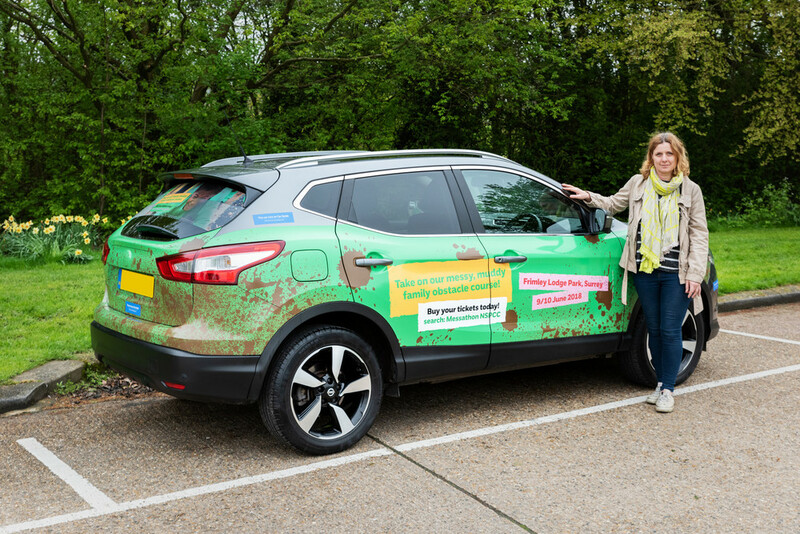 We always hear so many great things about the adverts, what do your friends and family think about your NSPCC branded car? My friends and family mostly think it's a brilliant idea and are impressed by the artwork! What is the best comment you've received about the adverts? I've had lots of people stopping to take a look and ask about the event, usually at the supermarket. The best comment was from the man at the carwash who said "I tried to clean your car, but look it still has mud on it!" The final question and I’m sure the one that people really want to know! What are you going to spend the money you’ve earnt on? I am in the middle of renovating my new house so that is what the money is being used for! Thank you very much to Kate for speaking with us. It was great to get to know a bit more about one of our members. If you haven’t signed up and would like to join our community and be paid for advertising and driving, please click here. Fill in your business email and our sales team will be in touch as soon as possible.